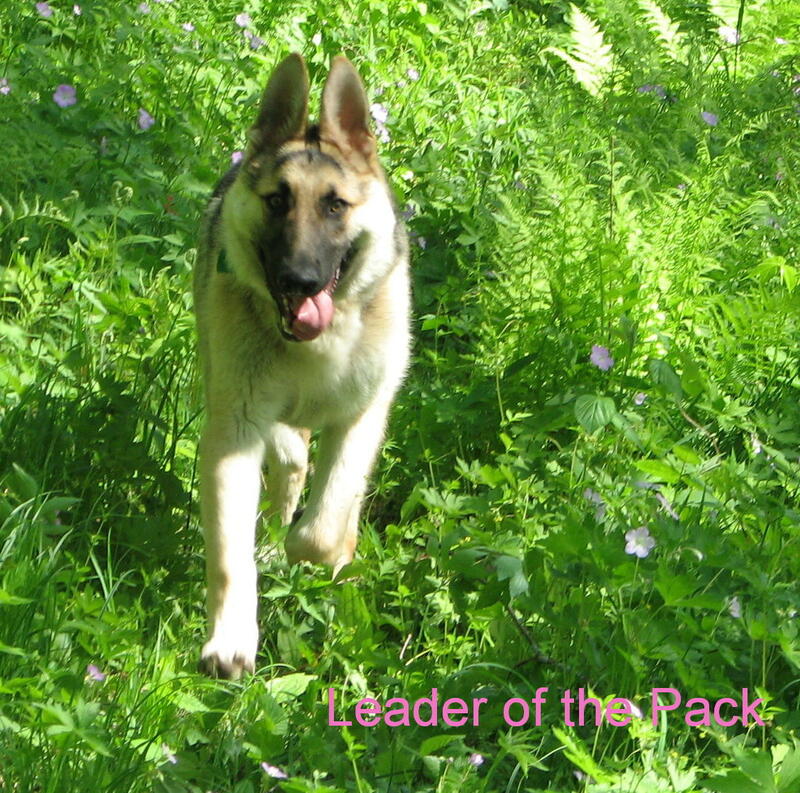 9:40 am - A hike in Forestville State Park! My favorite thing! 10:30 am - Got combed rubbed and petted! My favorite thing! 1:00 pm -Fetched tennis balls in the yard! My favorite thing! 5:00 pm - Supper! My favorite thing! 7:00 pm - Chased a squirrel up a tree in the backyard ! My favorite thing! 11:00 pm - Sleeping on the cushion in my kennel! My favorite thing! "Thou hast chosen war. That will happen which will happen, and what is to be we know not. God alone knows." Thus spake the Great Khan Ghenghis to his people and they rode forth from their desert homeland, on their small ponies, to conquer the world..... And they almost did. They created in centuries long past, the largest empire the world has ever seen. From China to India, from Russia in the north to Persia ind the south and further west into Central Europe, where they were finally turned back at the gates of Vienna on the Danube. That empire eventually faded away as all others have. 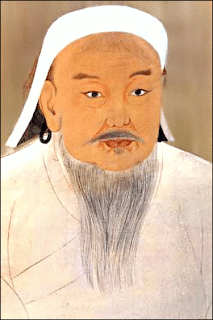 Today, though, a small in population but independent nation (Mongolia) lies as a buffer between China and Russia. When I heard of a program on the Golden Eagles of Mongolia being sponsored by the St. Paul Audobon Society, I was intrigued. 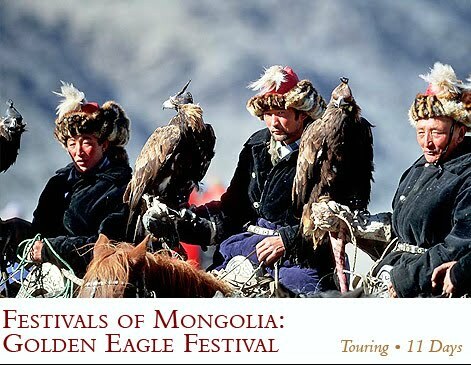 Upon learning further, that the programed involved an Eagle Festival, where mounted hunters carried their trained eagles with them, I was even more fascinated. 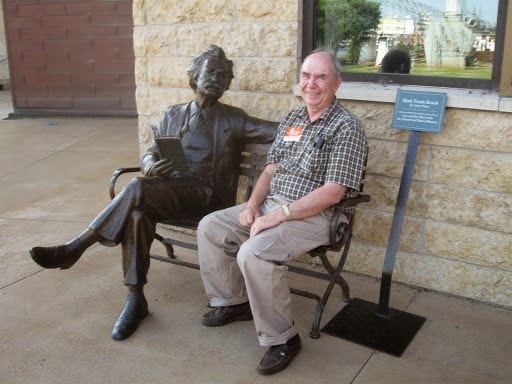 I headed north, one hundred miles to the Twin Cities, not to miss it. Ron Winch and his wife Toni Melitsch gave the program based on their attendance at the festival. A "retired" 3M photographer, he now travels worldwide giving back to worthy conservation and environmental organizations as well as being a regular contributor to books and magazines. His goal is always entertainment, enlightenment, and education to inspire the viewers to become better stewards of the environment. He certainly succeeded based on what I saw. 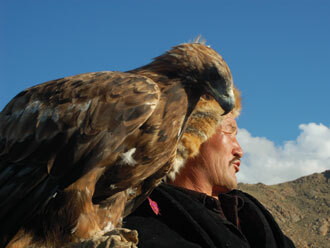 In recent times the eagle hunting tradition was dying out among the Kazhac people of Northwestern Mongolia. The eagle festival began, as such things often do, as a small event with the hope of preserving some of the old ways. Later, as interest revived, it began to achieve that goal and become a major tourist event as well. 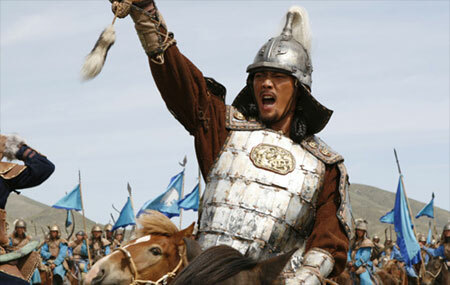 This year some 84 nomadic hunters rode on horseback from as far as 150 miles with an eagle on their arm for the event. And what an event it was. The settin of desert, mountains, colorful dress of the local people, their rounded tent homes (Gerts) and magnificent eagles shown through the means of digital photography, added up to a wonderful two hour program. I was so glad I was able to attend. My own interest in golden eagles began several years ago by participating in the National Eagle Centers golden eagle survey. 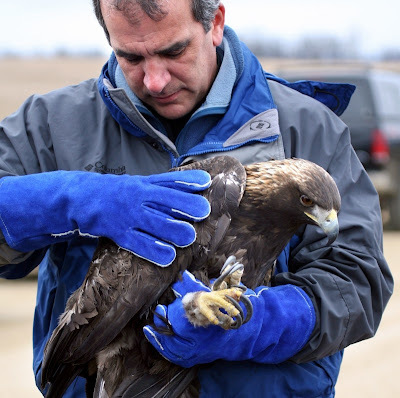 Over one hundred people were trained in identifying golden eagles from immature bald eagles. The goldens visit Minnesota from Canada in the winter and return to their habitat in the far north to breed in the summer. Our group identified over one hundred of these magnificent birds last year. I did learn, however, that the Mongolian birds were slightly larger than their Canadian cousins. Although my "team" spotted three goldens that year, I've yet to have gotten close enough to take a decent picture with my little point and shoot. 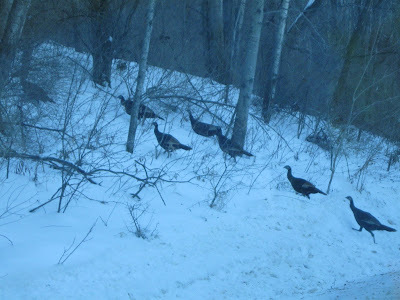 The Rocky Mountain West hosts many of these birds year around and world class amateur photographer Mona (Montanagirl) graciously allowed me to use one of her many wonderful pictures. Golden eagles were thought to be relatively rare in the hill and valley region bordering the mighty Mississippi river valley between Minnesota and Wisconsin. 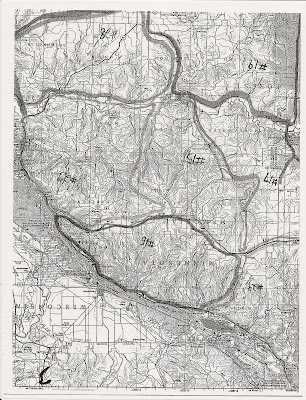 Most experts believed they were lost wanderers from the Rocky Mountain west. More interested birders, better equipment and knowledge of differentiating the big brown eagle from their immature Bald Eagles cousins, has begun to change that opinion. Goldens nest all the way up to the Arctic coast in Alaska and Western Canada. Their range maps show nothing along the western edge of Hudson Bay. From late April to May, Whitey flew from western Wisconsin north to Duluth Minnesota at the westernmost tip of Lake Superior. Then he crossed into Ontario, Canada. And then he kept on going and going and going. Past Churchill on the southern shore of Hudson Bay. Then north along Hudson's western edge. He traveled 2,382 miles, averaging 72 miles per day. His longest one-day flight was 193 miles. From late May to early October, Whitey spent the summer wandering over an immense area of Nunavut — from the northern shore of Hudson Bay to a lake above the Arctic Circle. It had been a migration of astonishing proportions and came as a total surprise to everyone. Or as one of the experts said, "Wow!" 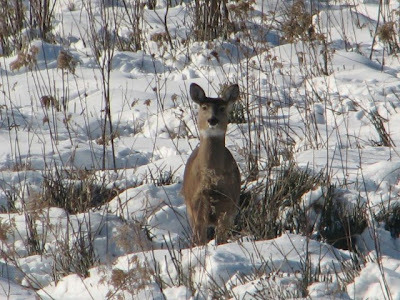 And then on October 7, he turned and headed back toward his winterhome By early November, Whitey was back in southwestern Wisconsin after a 26-day, 1,750-mile migration. Mark Martell, director of bird conservation for Audubon Minnesota said the finding has conservation implications. "These birds are cool, just cool," Martell said. "Here’s this huge, predatory bird that we weren’t even aware was here on a regular basis." Their presence raises a serious issue — how best to protect them —. But more information is needed first. Whitey repeated his epic journey several times. 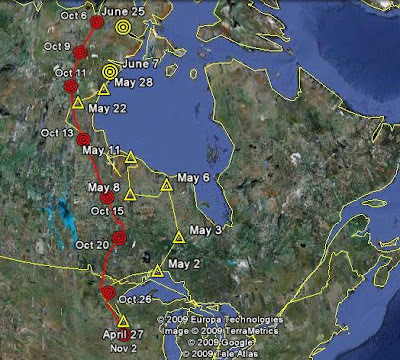 Other captured Golden Eagles later flew similar tracks north with some variations included on which veered north east crossing Ontario to enter Quebec. 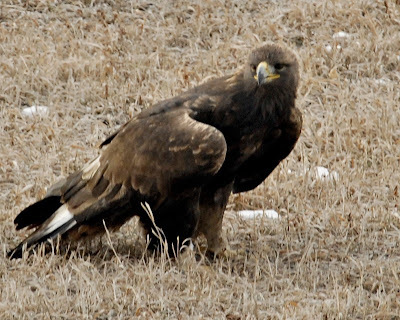 Continuing my posts on Golden Eagle research. 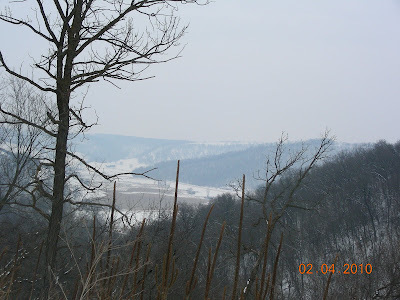 Previously I had described Mrs T and my joining the Golden Eagle survey in southeastern Minnesota's Bluff Country. We spotted three. The grand total was over one hundred of those rare raptors in the 4 State area along the Mississippi. This is Whitey, the Golden Eagle. He was accidentally caught in a legal trap in southwestern Wisconsin. Discovered by a bow hunter, he was brought to the National Eagle Center in Wabasha, Minnesota. 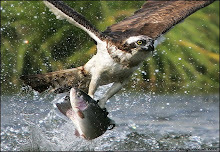 From there he was immediately transferred to The Raptor Center at the University of Minnesota. With expert care the bird’s leg was eventually repaired. Whitey was then scheduled to be released back into the wild. The National Eagle Center and several public and private agencies all joined together in a partnership to further study wintering golden eagles in the area. 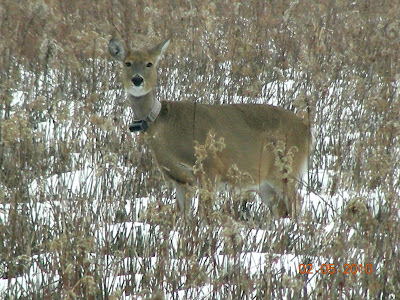 To aid the study, satellite transmitters were provided by the Minnesota DNR Non-Game Wildlife Division. For years there has been speculation as to where the Goldens, who winter in the Mississippi river valley, come from. 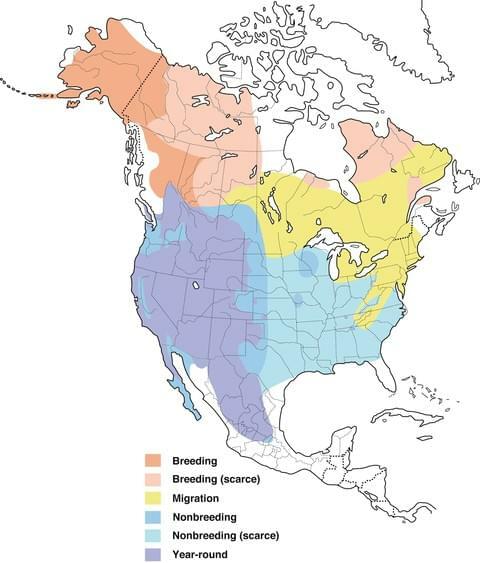 Do they migrate from their heartland in the mountain west, across the great plains to Minnesota. Or do they come from the far north in Canada. Whitey might be able to provide the answer. 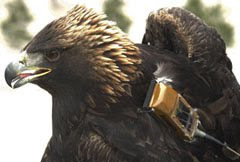 At The Raptor Center at the University of Minnesota a satellite transmitter was attached to the back of this golden eagle. 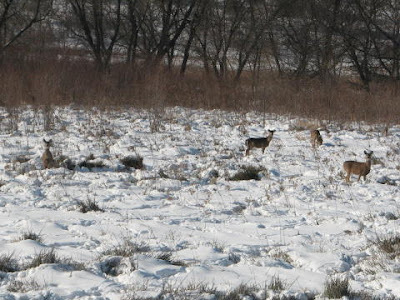 Whitey was than brought to the release site near where he had been first trapped in Wisconsin. 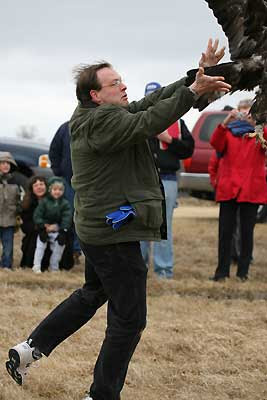 Then Scott Mehus, education director and Golden Eagle surveyor at the National Eagle Center, threw the bird back into the wild. Whitey took off, landed briefly in some nearby trees and then soared away, "free as a bird." 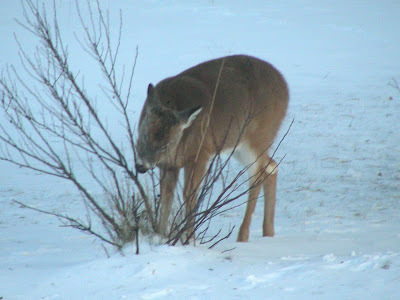 Next we will follow him as he leaves his wintering grounds, in the spring and head off for parts unknown. We were looking for Gold. Looking for thought to be rare Golden Eagles that is. 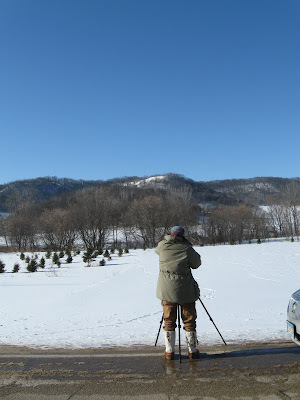 After taking a class on identifying immature Bald Eagles from Golden Eagles, the Troutbirders set out on their assigned route in Winona county . 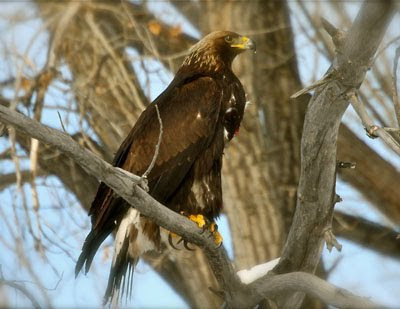 The National Eagle Center was sponsoring the effort to determine how many Golden Eagles actually winter in Minnesota. 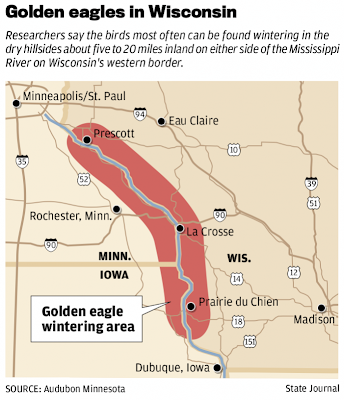 This big eagle was suspected to associate with the hill and valley country of the unglaciated portions of southeastern Minnesota, southwestern Wisconsin and north eastern Iowa. Our route was in Minnesota. We had a wonderful five hour outing. Eileen, from the Eagle center, was a great mentor and guide. She is a volunteer who works with Scott Mehus the Education Director. Scott is in charge of the Centers Golden Eagle research project. Here Eileen is searching along ridge lines above and adjacent to goat prairies. 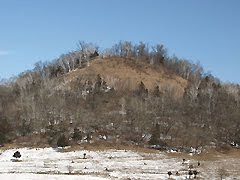 Goat prairies are south facing slopes which are dry and generally treeless (except for red cedar) The pioneers named them goat prairies due to the steepness. 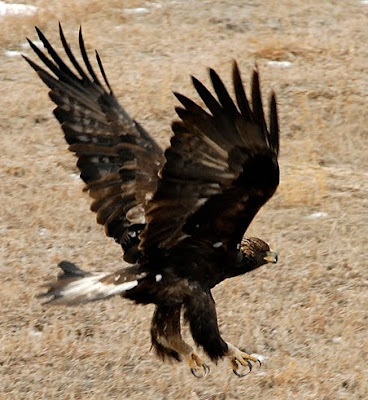 Golden eagles like to soar above them which gives them an open shot at their prey which consists of small mammals and the occasional wild turkey. Apparently they like their meat fresh as they are not known to scavenge in this wooded country. We clearly identified three Golden Eagles. One was mature and two first year goldens were also sighted. All three were soaring. We also saw several eagles perched on the inner portions of trees but distance made a positive identification impossible. 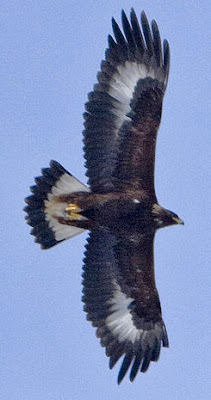 The mature was identified by its dark coloration and the somewhat dihedral arch of its wings while soaring. The youngsters were playing chase and tag above us and the underneath white tail and wing markings were very clear. 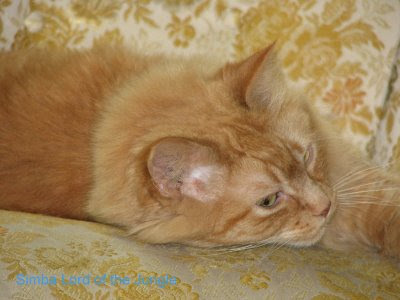 You might note that the head of the Golden is much smaller than the tail. In Bald Eagles the head and tail are approxiametly equal in size. In addition, we counted 11 bald eagles (they are much more common along the Mississippi river), nine redtails, and two big flocks of wild turkeys and a herd of deer. 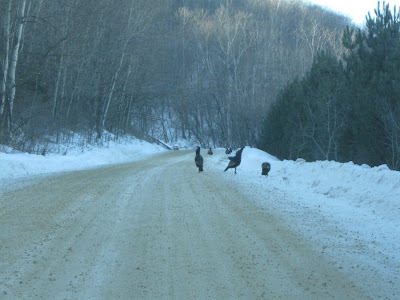 Another simple key to locating goldens is that if you see a flock of calm and reposed wild turkeys, it is unlikely a Golden Eagle is soaring nearby. We are Soldiers Still: A Journey Back to the Battlefields of Vietnam. I'm not a big whiner and complainer....really! I deal with the facts, make adjustments and life goes on. Yes, indeed. A knee replacement lead me to give up skiing some years ago. A certain pill to slow and control the heart rate makes cold in the extremities a fact of life. I don't do a lot of ice fishing any more. I find TV extremely tedious (except ESPN & BTN) So I get bored. Reading and blogging in the winter can only take you so far. We go for rides. 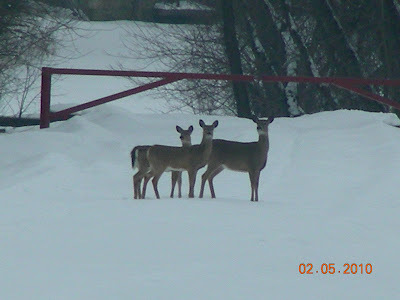 GPS deer. Somebody is keeping track of her! 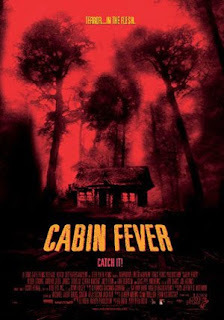 Cabin Fever! Take me for a ride. I know I'll feel better. The cause of this annoying malady is quite simple. Take a look. 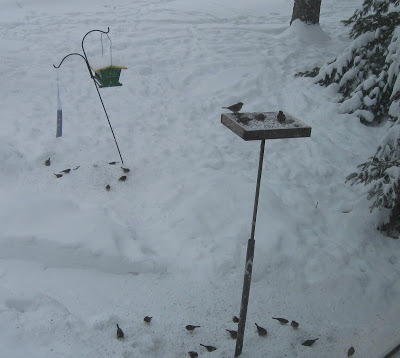 Of course we can't forget the back yard and our little feathered friends. 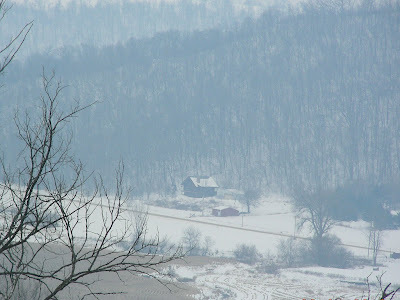 Here in Fillmore County, Minnesota we live on an ecological dividing line between “Bluff Country, an unglaciated hill and valley region sweeping east to the Mississippi River and Wisconsin. To the west we find what was once the tall grass prairie, now almost entirely corn and soybean fields. That is except for a few small remnants here and there tucked away or restored like my friend Mr. Science has done. Early fall this year we followed him on a few mowed trails to take a look…. Come on along.